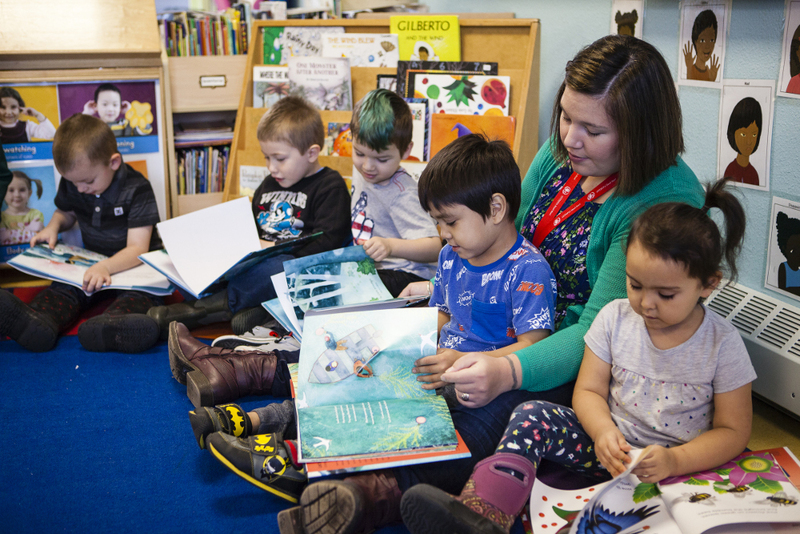 The Sealaska Heritage Institute announced this week it will be partnering with the Central Council of Tlingit and Haida Tribes of Alaska’s Head Start to offer the Baby Raven Reads program in communities around Southeast. Baby Raven Reads promotes literacy, language skills and school readiness for Alaska Native preschool-aged children. A pilot program in operated in Juneau for three years but ended this year. The organization’s education program manager Katrina Hotch said it initially was aiming to reach 50 families in Juneau, but ended up serving 190 families. The program uses nearly 20 books published by Sealaska Heritage, featuring Native authors and artists. But Hotch said training has been an important piece. The institute plans to offer family literacy events along with training sessions in Angoon, Craig, Hoonah, Klawock, Petersburg, Saxman, Sitka, Wrangell and Yakutat. Some of the first events could be as soon as this January. Hotch calls it an exciting development. Two of the most recent book offerings feature illustrations by Haida artist Janine Gibbons of Petersburg. They’re also available to purchase on the institute’s website. Sealaska Heritage also is looking for other authors and illustrators for future publications. Sealaska Heritage is a private non-profit formed by Sealaska, the regional Native corporation. It aims to perpetuate and enhance Tlingit, Haida and Tsimshian cultures.